After surviving a serious heart attack, Harper realized that he needed balance, both in his life and on his plate. To balance his diet without gaining weight, he developed a program high in nutrients that would help maintain his weight and provide the energy he needed to recover. That program grew into The Super Carb Diet. This is a balanced, scalable diet that will work for everyone, whether they’re trying to lose or maintain weight, and even for those super-athletes who want to build lean muscle. With effective workout routines that can be done at home, in the gym or while traveling, Harper has designed a program with enough variety to satisfy your hunger and motivate your body. 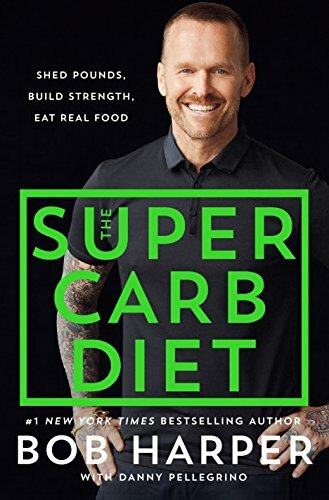 In three months The Super Carb Diet will help anyone get lean, build strength, and enjoy foods that keep them happy and full. Bob has combined his vast knowledge with hard-earned life experience to offer a road map to make us healthy and strong enough to handle anything that comes our way.